However, many men are unaware there is a secret language to striped suspenders. Those educated in this language are able to determine what British military regiment or prep school one may belong to. 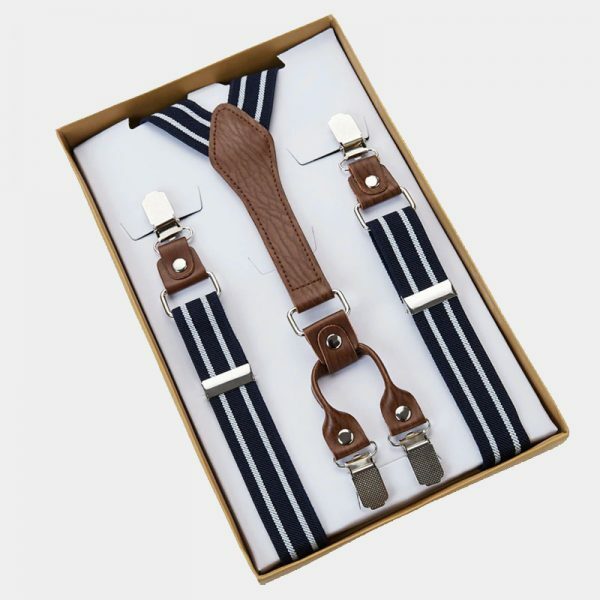 Hence, we have the American repp and the British striped suspenders variations available today. 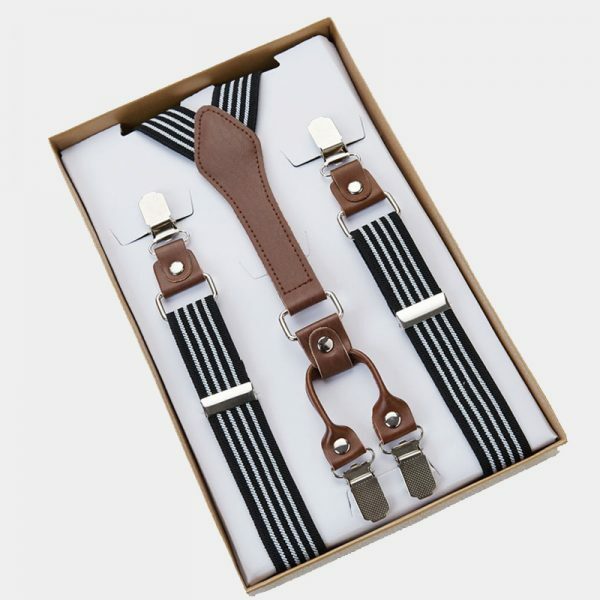 Whichever style or design you choose, a men's striped or pinstripe suspenders are a traditional and smart accessory to have in your collection. They are available in a wide and varied selection that ranges in stripe width, fabrics and color combinations. 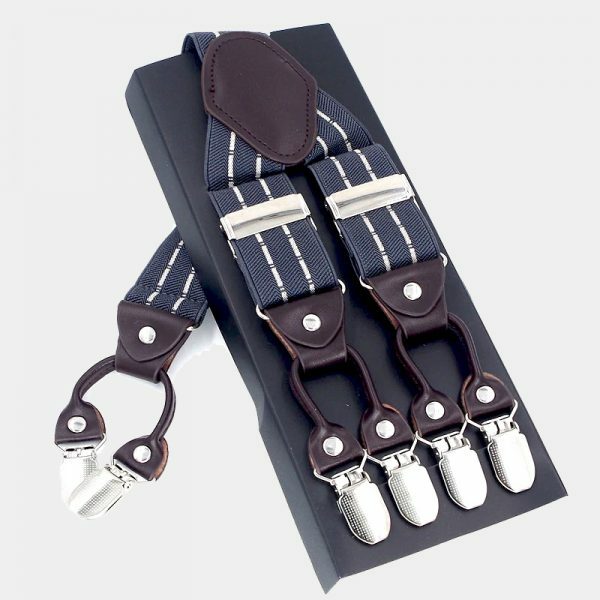 Finding a suspenders set to fit your personal style, school or military colors as well as the colors of your favorite sports team isn't hard to do. 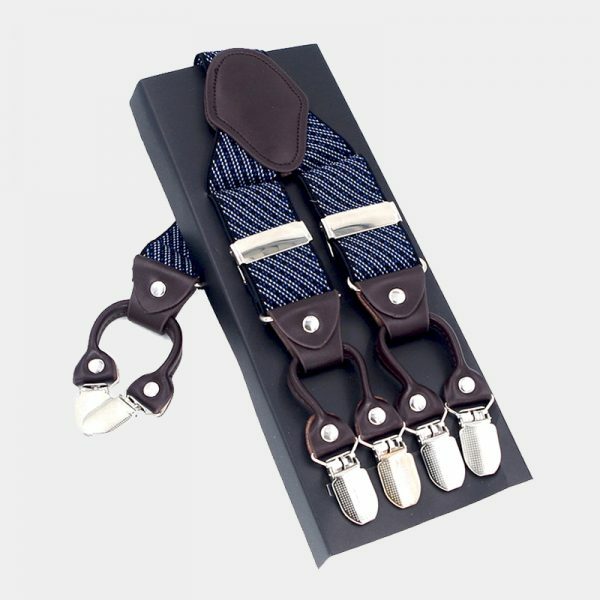 Our high-quality suspenders are handcrafted from exceptional materials like silk and leather and available in both clip-on and button styles. We also offer a unique selection of striped bow ties and suspenders sets to complete your outfit for any occasion.